This short hike leads to a perfect lake below the rocky Mt. Hoffman. At the beginning of the hike, a small pond with large boulders reflects the surrounding trees in its still waters. As you walk up through the granite landscape, a forest inexplicably grows up between the cracks in the rocks. Mt. Hoffman stands tall and is visible for most of the hike. 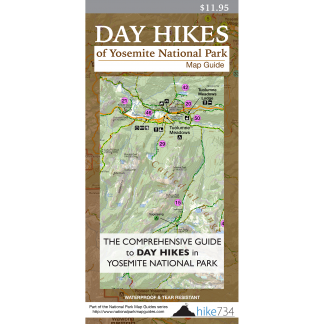 After a gradual beginning, the trail switchbacks up the ridge giving you increasingly better views of notable peaks such as Half Dome, Cathedral Peak, and Clouds Rest. 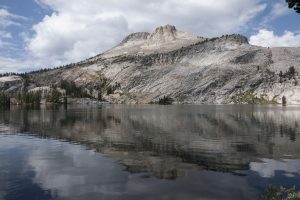 From the top of the ridge, a short walk through the forest brings you to the May Lake High Sierra Camp and the beautiful lake itself. There are many places to enjoy the lake, particularly at the far end of the lake where a short spur trail takes you to a granite outcropping. For a longer day with considerable elevation gain, continue on to the summit of Mt. Hoffman (see Mount Hoffman).